Can you believe it’s almost time to kiss goodbye the summer holidays and welcome a new school year? Before you know it slow mornings, late nights and lazy days will be replaced with alarm clocks, routine, homework, and hopefully not too much resistance from the kids. We live in hope! Getting your family back-to-school ready after a long summer break is not for the fainthearted. I learnt this the hard way last year – my first year as a school mum. After a few false starts, missing the uniform purchase deadline and almost forgetting to order the school supplies, I was confident we were ready for our daughter to start her first year of school. How naïve I was! Nobody warned me how much communication we would receive from school and how hard it is to remember everything – not to mention the battle of adapting to a new routine. It became clear to me early on that I was not a daycare mum anymore, Toto. I was a school mum and I needed to crank my organisation and planning skills up a notch. Here’s how to get your family back to school ready like a boss and keep you and your crew on top of the school caper all year long. 1. Ease your family back into the school routine. Routine on school holidays? Pfft! Are you kidding me? As fun as flying by the seat of your pants can be on school holidays, there comes a time when you regretfully, or not too regretfully for some, need to reel it back in. A week or two before school returns is the perfect time to remind your family of your faithful routine. Make bedtimes earlier, wake the kids closer to when they would ordinarily get up for school and bring back regular meal times. 2. Sort the school supplies. If you’re lucky, your school will have provided school supply and book lists before the previous school year was out. The lists are super handy, divided into school and classroom, and can be purchased online or in store from a preferred supplier. The only thing you need to remember is to order the supplies before the delivery deadline. If your school doesn’t recommend a supplier, grab hold of those back to school brochures littering your mailbox and hit the shops. 3. Labels, labels, labels. Now is the time to order name labels and start sticking. If school supplies are shared within your kid’s classroom, you may not be required to label books and stationery. You will however still need to label lunch boxes, containers, hats, bags, uniforms, socks and shoes – the works! 4. School uniforms at the ready. If your child is starting school for the first time, you’ll need the whole kit and caboodle – formal uniform, sports uniform, hat, socks, shoes, school bag, homework bag, and library bag, the list goes on. If your child is returning to school, it’s wise to try on their uniform and shoes a couple of weeks before school returns. It’s surprising how fast our monkeys grow over summer. Ensure all school clothes are washed and ironed and school shoes are polished. Invest in a couple of pairs of new school socks and hairbands to start the year fresh. 5. Invest in a family calendar. A family calendar will be your BFF throughout the school year. Family calendars help you to keep track of each family member’s activities and commitments. You can buy family calendars online and in stationery stores, or you can make your own. We’re a fan of the Kikki K family calendar. Be sure to write the entire school year in your calendar, including school terms, public holidays and pupil free days. This will help you plan ahead for leave or arrange outside of school care. 6. Create a command centre. A command centre is your key to calm and organised school days. A command centre is basically a nook where you keep everything your child needs to get out of the house on time … and where they can dump their stuff at the end of the day. We have our command centre set up in the garage and keep the kids school bags, shoes, umbrella, hats and my car keys there. This year I’m adding a basket for library books and readers, which can all too easily go missing. You could use this space to store your family calendar, paperwork in-tray, or even a whiteboard to mark special events. 7. Keep on top of communications. If your school is big on communication, it’s easy to drown in a sea of paper-based newsletters, electronic newsletters, forms, permission slips and notifications via the school portal, school app and Facebook page. Place an in-tray for the paper-based forms in your command centre, office or kitchen – anywhere you won’t forget them – and ensure you add every key date or task you find in these communications to your family calendar as soon as you read them. Download the school app and switch on notifications for the school Facebook page. 8. Attend orientations. Whether your child is a new student or not, most schools offer school or classroom orientations and parent / teacher meetings early in the school year. Be sure to attend these to learn what to expect for your kid at school this year. 9. Outside school care. Are you calling on grandma and grandad to help with before and after school care or have you booked into the school’s after hours care facility? Invest time in planning your routine and who is responsible for dropping off and picking your kids up. 10. Extra-curricular activities. If you’re signing your child up for another year of swimming, violin or whatever it is they’re into, now is the time to book in, pay the fees, and work out how their activities will fit in around your other commitments. 11. Homework central. Get your kid excited about homework with a special homework space just for them. Whether they have a desk, study nook or simply work at the dinner table, make the space inviting with cute and cheerful stationery. A portable homework kit is a great idea for kids who don’t have a designated homework area. 12. Pre-prepare healthy lunch box treats. Save yourself the last minute scramble and plan your kid’s lunch and school snacks ahead of time. Get on the baking bandwagon and put together a stock of healthy and tasty school snacks that you can pop into lunchboxes ready to go. Check out our tips on how to meal plan like a ninja and find all the lunch box inspo you need with these 10 lunch box packing mummas to follow on Instagram. 13. Pack lunch boxes the night before. Get into the habit of packing your kid’s lunch box the night before. While you’re at it, anything you can do the night before, like packing lunch boxes and school bags, do it! You will thank yourself for it the next day. 14. Create a school lunch box cupboard. Rummaging around your overflowing plastic container draw for lunchboxes, plastic containers and that drink bottle your kid just has to have is enough to drive you crazy. Make life easy on yourself and gather all of the lunch and school snack container gear together in the one location. Place it in an area your kid can reach, so they can help you prepare their lunch. 15. Prepare an emergency kit. Your emergency kit should include all of the regular first aid requirements – band aids, bandages, antiseptic and Panadol, plus a mini sewing kit, stain remover and iron on patches. I’ll never forget the horror when my daughter came home from school not even one week in to tell me she accidentally sliced through her new school uniform while testing out her scissors! It’s also a good idea to add a head lice comb and treatment to your kit, just in case, and invest in a daily head lice defence spray. 16. Book in for a mop chop. Start the school year off with your kid looking sharp. We like to book our daughter in for a haircut before the start of each term. It’s a great way to remember haircuts and to keep her hair healthy year long. 17. Health checks. Are you up-to-date with your kid’s vaccinations? Do they need a dental check-up or eye test? Booking these in prior to the start of school will ensure they don’t miss out on valuable school time. 18. Talk about school. Start bringing school chat back into conversation and getting your kid used to the idea of returning to school. Talk positively and excitedly about school, especially if you have a new starter. Discuss what their new teacher might be like, what they’ll learn, and which friends will be in their class. Buy a couple of cool new things like a drink bottle or bag tag. 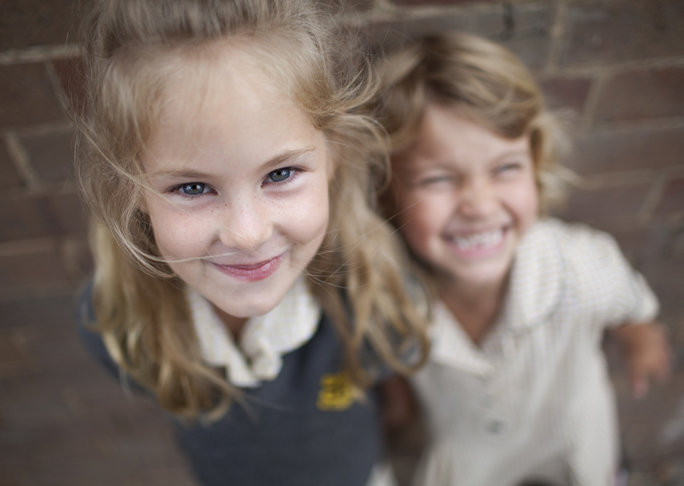 Why not arrange a play date with a couple of friends from school to reconnect before school returns? Finding a friendly face in a crowd of kids on day one can make all the difference. 19. Books about starting school. If your kid is set to embark on their first year at school, books about starting school are a great way to get them excited and help them understand what to expect. Children’s Books Daily has a great selection of back to school books. 20. Rewards chart. There’s no better time to introduce a rewards chart than at the start of the school year. You might like to introduce a routine chart to help your kid get themselves ready for school, a homework chart, or a good behaviour chart. There are endless printables available online or you can make your own. 21. Camera, tissues and wine! It’s not just the kids who face the start of a new school year with a mixture of excitement and trepidation. Have your camera and tissues at the ready for day one and don’t forget the wine to celebrate a successful first week … or day! Renee is a blogger, writer and dreamer. 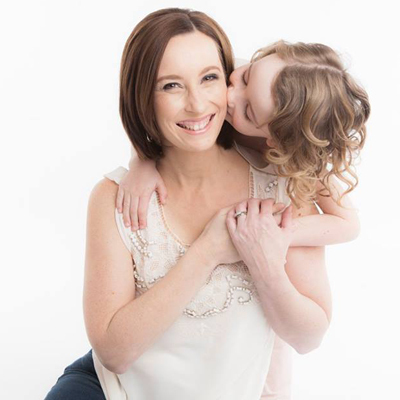 She’s mum to a five-year-old wannabe ballerina and a three-year-old tearaway with a smile that won’t quit. She has a mild addiction to bagels with cream cheese and a major addiction to Netflix. Read her blog at Mummy Wife Me, or follow her on Facebook, Twitter, and Instagram.